Returns PLEASE READ IMPORTANT** In the un-likely event you need to return any items to us, our returns procedure can be found from section 10 below and also for any exclusions to our policy. Please read the Terms and Conditions carefully as they affect your liabilities under the law. By using the Website, and/or ordering, you are deemed to accept the Terms and Conditions. If you do not agree to these Terms and Conditions, please do not order or use the Website. 1. Ownership and Intellectual Property 1.1 The Website is owned and operated by us, Warwick Whelping Boxes. 1.2 The copyright and all other intellectual property rights in and to the Website and any and/or all of the material on the Website are either owned by us or are included with the permission of the owner of the rights. As a visitor to the Website, you may download a single copy of each piece of material contained on the Website for your own private viewing purposes only, provided you keep intact all and/or any proprietary notices. All Designs are owned by Warwick Whelping Boxes. 1.3 Subject to condition 1.2 above, no copying of either the Website and/or any and/or all of the material contained on the Website or distribution for any commercial or business use is permitted without our prior written consent. You may not include a link to the Website or display the contents of the Website surrounded or framed or otherwise surrounded by material not originating from us without our prior written consent. 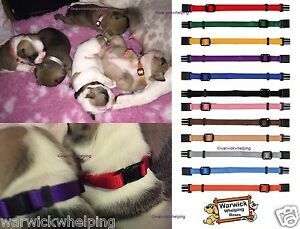 1.4 No licence is granted to you in these Terms and Conditions to use any trade mark whether registered or unregistered of either Warwick Whelping Boxes, the word and logo mark "Warwick Whelping Boxes", the "Warwick Whelping Boxes" Device and the "Dog and Cat Silhouette" Device. Or the “Doggee Food” Logo. 2. Website information and availability 2.1 Whilst we take every care to ensure that the information on the Website is accurate and complete, some of it may be supplied to us by third parties and we are unable to check its accuracy or completeness. You are advised to verify the accuracy of any information before relying on it. Further, due to the inherent nature of the Internet, errors, interruptions and delays may occur in the service at any time. Accordingly, subject to condition 13 below, the Website is provided "AS IS" with warranties excluded to the fullest extent permissible by law. Subject to condition 13 below, we do not accept any liability arising from any inaccuracy or omission in any and/or all of the information provided on the Website or interruption in availability. 2.2 If a fault occurs in the service of the Website, you should report it to Customer Services, either by ringing 0191 5488777 or by email, and we will correct the fault as soon as we reasonably can. 2.3 Your access to the Website may be occasionally restricted to allow for repairs, maintenance or the introduction of new facilities or services. We will attempt to restore the service as soon as we reasonably can. 2.4 Your attention is drawn to the following information in particular: Suitable Breeds. We understand that when shopping online, it may be difficult to visualise the actual size of an item, even where approximate product dimensions have been provided. We have therefore provided where possible, a list of potentially suitable breeds for many of our products. Due to the sheer number of breeds of Dog in the UK, this list is a guide only and is by no means meant to be definitive. This guide is based on a breed's generic size and attributes. Each pet is an individual, and therefore while a product may generally be suitable for a certain breed type, it may not be suitable for certain individual pets. Therefore, upon receipt of your order, please ensure that you are confident that the product(s) you have purchased will in fact be suitable for your pet’s unique individual requirements. 3. Privacy Warwick Whelping Boxes will comply with Warwick Whelping Boxes Privacy Statement. We will not reveal your personal information to external organizations except for the purposes of fulfilling your order. This will include providing your address, contact name, telephone numbers ( including mobile numbers)and email address. You may receive text or email alerts regarding your order. If you are not happy to receive these please email us with your order number and clearly state you do not wish this service to be provided as part of your order and contract with us. 4. Other promotions, vouchers & competitions From time to time, we (or selected third parties) may include competitions, promotions, vouchers or other offers on the Website. Each such offer and or voucher shall be subject to its own express terms, however, each offer or promotion will be subject to availability at all times. Your statutory rights are not affected. 5. Limitations 5.1 You may not use the Website for: 5.1.1 disseminating any unlawful, harassing, libellous, abusive, threatening, harmful, vulgar, obscene, or otherwise objectionable material; 5.1.2 transmitting material that encourages conduct that constitutes a criminal offence, results in civil liability or otherwise breaches any relevant laws, regulations or codes of practice; 5.1.3 gaining unauthorised access to other computer systems; 5.1.4 interfering with any other person's use or enjoyment of the Website; 5.1.5 breaching any laws concerning the use of public telecommunications networks; 5.1.6 interfering or disrupting networks or websites connected to the Website; or 5.1.7 making, transmitting or storing electronic copies of materials protected by copyright without the permission of the owner. 5.2 We reserve the right to refuse to post material on the Website or to remove material already posted on the Website. 5.3 You fully indemnify us against any and/or all losses, liabilities, costs and/or expenses reasonably suffered or incurred by us, any and/or all damages awarded against us under any judgment by a court of competent jurisdiction and any and/or all settlements and sums paid by us as a result of any settlement reasonably agreed by us arising out of or in connection with: 5.3.1 any claim by any third party that the use of the Website by you is defamatory, offensive or abusive, or of an obscene or pornographic nature, or is illegal or constitutes a breach of any applicable law, regulation or code of practice; 5.3.2 any claim by any third party that the use of the Website by you infringes that third party's copyright or other intellectual property rights of whatever nature; and/or 5.3.3 any fines or penalties imposed by any regulatory, advertising or trading body or authority in connection with the use of the Website by you. 6. Right to suspend or cancel your registration 6.1 We may suspend or cancel your registration to Warwick Whelping Boxes immediately or restrict or prevent your access to the Website at our reasonable discretion if you breach any of your obligations under these Terms and Conditions. 6.2 You can cancel this agreement at any time after giving us prior notice in writing. If you do so, you must stop using the Website. 6.3 The suspension or cancellation of your registration to the Website and/or your right to access and/or use the Website shall not affect either party's rights or liabilities. 6.4 Conditions 1, 5 and 10 of these Terms and Conditions shall survive cancellation. 7. Ordering goods 7.1 All orders placed through the internet via email will be subject to our acceptance of the order. 7.2 When you submit an order via email or by other means to us via the Website, you will receive an email from us acknowledging your order ("Acknowledgement Email"). You should check this email for accuracy and let us know immediately if there are any errors. Please note that the Acknowledgement Email does not mean that your order has been accepted. Your order constitutes an offer to us to buy a product. All orders are subject to acceptance by us, and we will confirm such acceptance to you by sending you an email that confirms the goods have been dispatched to you (the "Dispatch Confirmation / Shipped"). The contract between us ("Contract") will only be formed when we send you the Dispatch Confirmation. Title to the goods will pass to you on delivery to you provided payment has been made in full. The Contract will relate only to those products whose dispatch we have confirmed in the Dispatch Confirmation. We will not be obliged to supply any other products which may have been part of your order until the dispatch of such products has been confirmed in a separate Dispatch Confirmation. 8. Pricing, processing your orders and payment 8.1 The price of any goods will be as quoted from us, and from time to time, except in cases of obvious error. Subject to condition 8.4 below, in the event of obvious inaccuracies in the prices quoted from us, we reserve the right not to fulfil and/or to cancel any orders placed by you in reliance on the inaccurate prices. 8.2 Prices are liable to change at any time, but changes will not affect orders in respect of which we have already sent you a Dispatch Confirmation. 8.3 Payment for all goods, will be taken from you at the time we receive your order, once we have checked your details and stock availability. Any payment made to us will be refunded if we do not accept your order. 8.4 Whilst it is our intention to keep the Website up to date and error free, product description or pricing errors may occur. If we discover such an error after you have submitted an order to us, we will contact you prior to accepting your order with the correct details. You may then either cancel your order or confirm it based on the correct information. If we are unable to contact you, we will treat your order as cancelled. 8.5 . Delivery charges are clearly highlighted throughout our quotations. For further information on delivery charges please contact us. 9. Availability and delivery Your order will be fulfilled by the delivery date set out in the Dispatch Confirmation or, if no delivery date is specified, then within 30 days of the date of the Dispatch Confirmation, unless there are exceptional circumstances such as a Force Majeure Event (see condition 16 below). Royal Mail Deliveries usually arrive within 2 business days of posting; however can take up to 7 - 10 working days in some cases. If goods are un-deliverable they will be sent to your local sorting office for collection and you will be left a card with the reference number for your parcel. Any costs incurred for the re-delivery is the buyers responsibility. Goods which are not collected are returned to us at no additional costs by Royal Mail, however a re-delivery charge will be payable should the order be required to be re-sent, this is payable by the buyer. Courier deliveries however, if returned to us, thru none delivery or none collection, you will be charged a fee of £5.00 plus vat as the current rate of 20%. This is the cost we incur. We will notify you via email to the email address provided on your order, any missed or failed deliveries and request you re-book such deliveries within 5 business days. If you do not book the re-delivery and the goods are returned to us, we will deduct the return fee as mentioned above from your order, and refund the difference in the cost. Deliveries can only be made to a confirmed delivery address (if using paypal) or the registered card address of the card holder (when payment by card over the internet or over the telephone). Your order will require a signature on delivery. We do not deliver to addresses which are not confirmed or are not validated by your card details. Orders via courier, once dispatched are usually next working day requiring a signature. Goods cannot be left with any neighbours unless pre-booked. We do not offer any safe place option. Courier Deliveries are attempted once, and then they will be left at your local depot or when Parcel Force is used they may be left after 24 hours passing at your local Post Office for you to collect. You can also re-to arrange delivery by following the instructions. If the goods are not collected after 5 days they will be returned to us at a charge. This charge will be incurred by the buyer. (as mentioned above) Buyers are responsible for accepting deliveries or arranging a collection or re-delivery. Any charges incurred are the buyer’s responsibility. Whelping Boxes are made to order and are sterilsed prior to been packaged, and require 7 - 10 working days for manufacture. In some of the ranges they take longer up to 10 -14 working days. If you need assistance with deliveries please contact us and we will gladly assist as best as we can. Telephone number 0191 5488777 10. Consumer Rights 10.1 If you are contracting as a consumer, you may cancel any Contract between us at any time within 14 days, beginning on the day after you received the goods (excluding made to order/ sterile/ or bespoke items). In this case, you will receive a refund of the price paid for the goods in accordance with our refunds policy set out in condition 11 below. 10.2 To cancel any Contract between us, you must immediately inform us by emailing or writing to our Customer Service team We are open between 9am and 4pm, 5 days a week Monday to Friday and usually reply within 2 working days and return the goods to us in accordance with condition 11 below. 11. Refunds policy 11.1 When you return a product to us pursuant to condition 10 above: 11.1.1.And where the goods are not defective, we will process the refund due to you as soon as possible and, in any case; within 30 days of the day you have given notice of cancellation. In this case, we will refund the price of the product but not the costs you incur in returning the item to us. We offer free delivery on most order'showever should you wish to return unwanted items this cost will be deducted from your order value refund as this cost has been incurred by us in sending your original order to you. If you require an exchange the delivery will be payable by the buyer and would not be free. Please note we have a strict 14 day returns policy commencing from the delivery date. 11.1.2 All goods must be in original sealed packing and in brand new un-used condition. Any Vet Bedding Fleece is made for each customer's order therefore bespoke to each customer as this is made and cut for you to our standard sizes as well as bespoke sizes. Buyers are responsible to fully insure the goods for loss or damage. We are not responsible for any loss or damage once title of goods have passed over to the buyer. Refunds are excluding bespoke items, made to order / measure and/or personalised goods / Sterile/ Food Products. (this includes whelping boxes and vet bedding) All Items which are used for the nature of Puppies, for example; Puppy Bottles, and any other puppy related can only be returned when sealed and un-opened. This is for sterile/hygiene purpose and the use of these products. Puppy Milk, Food or any item which can be consumed is non returnable due to any contamination whilst out of our care. Should you wish to return any sterile items please email us before sending items back. Sterile or hygiene sealed Items are excluded from returns. These are, but not limited to, Whelping Kits, Heat Pad, Whelping Boxes, Any Pet Food or Milk products, Any Pet Supplements. Sterile items cannot be returned due to any possible contamination or opened products. These cannot be re-sold. Whelping Box Order's maybe subject to a cancellation fee should they be no longer wanted/returned and/or cancelled by you the customer . This is up to the value of up to 40%. All Whelping Boxes are made to for you therefore are bespoke, and should you cancel before delivery has been made we reserve the right to deduct a cancellation fee from the refund amount of up to 40%. This also includes Bespoke Whelping Boxes beyond our standard sizes are also excluded from returns/cancellations as these are made to your individual requirements. 11.1.3 Because you claim that the goods are defective, you must firstly email us with details and return to us the goods (at reasonable costs) we will examine the returned goods and subject to inspection we will notify you of your refund by either post, telephone or email within a reasonable period of time. We will usually process the refund due to you as soon as possible and, in any case, within 30 days of the day we confirmed to you that you were entitled to a refund for the defective goods. Goods returned by you because of a defective part will be refunded in full, Should the goods returned not have any defects or not have any faults when examined and tested by us we will write to you, send an inspection report where necessary please see 11.2 , 11.1.4 and 11.1.5. Or with orders of bespoke items, we will issue no refund as these items are manufactured to suit your requirements. Return fee will be payable by the purchaser and the purchaser is responsible for there own collection costs to retrieve the goods. We will hold such goods for a period of 3 months. If no collection is made within 3 months the goods will then be destroyed/disposed of. Any component parts which we do not manufacture e.g. the fixing parts, a written letter is needed within 7 days of receipt of the goods, this needs to be sent to the company informing them of such defective parts. Upon return of the defective parts, new parts will be sent. Refunds will not be given on false claims of reported defective parts, or any mis-use of the items sold. Items must be brand new, unused condition and in original packaging. No returns for faulty goods will be accepted based on mis-use or any other circumstance. All goods are passed by our quality control and checked before dispatch. Please see 11.3 and 11.4. Goods which are returned in a used, soiled, or opened packaging and are not fit for re-sale, this includes but not limited to pet hair, urine, water, food, dog or cat waste; these are non refundable; therefore we reserve the right to refuse to accept the goods for refund and will advise you in writing under the Tort (interference with goods) Act 1977 we will keep your goods for a period of up to 3 months and request you the buyer to collect at there own costs. Collection times are available from Monday to Friday between 9.00am and 4.00pm (excluding weekends or bank holidays) 11.2 Goods should be returned to us strictly within 14 days of delivery and in their original, undamaged unopened packaging. These should be un-used, and free from pet hair. You have a legal obligation to take reasonable care of any goods whilst they are in your possession. If you fail to comply with this obligation, we may have a right of action against you for compensation or deduct an amount from your refund. Goods sent back after this 14 day return period you may be given a credit note or goods returned to you. This does not affect your statutory rights where the goods are faulty or not as described. 11.3 In the case of returns pursuant to condition 11.1.1 above, i.e. returns of non-defective goods, if the product returned is not in fully resalable condition or the packaging is damaged, we reserve the right to refuse a refund on the item, and return the item back to you or make the item available for collection at your cost. This will incur the return fee to you the buyer if we return the item to you, and this cost would need to be paid prior to us sending the item back. 11.4 We are unable to offer a refund or exchange on goods made to your specification, or special order items, or for example bespoke items. 11.5 We will usually refund any money received from you using the same method originally used by you to pay for your purchase. 11.6 All goods must be returned to us before any refund, inspection, or similar can be issued. 12. Risk and Title 12.1 The goods will be at your risk from the time of delivery. 12.2 Ownership of the products will only pass to you when we receive full payment of all sums due in respect of the goods, including delivery charges. 13. Our liability We shall not be responsible to you or any third party whether in contract, tort (including negligence) or otherwise for incidental, special, indirect or consequential loss or damage, any loss of profit (direct or indirect), loss of sales, loss of goodwill or reputation, loss of business, third party claims, pure economic loss arising out of or in connection of the performance or non performance of our obligations under these Terms and Conditions, including such damage as may be reasonably foreseeable at the date you order the goods. 14. Written communications Applicable laws require that some of the information or communications we send to you should be in writing. When using the internet and email, you accept that communication with us will be mainly electronic. We will contact you by email or provide you with information by posting notices on the Website. For contractual purposes, you agree to this electronic means of communication and you acknowledge that all contracts, notices, information and other communications that we provide to you electronically comply with any legal requirement that such communications be in writing. This condition does not affect your statutory rights. 15. Notices All notices given by you to us must be given to Warwick Whelping Boxes, We may give notice to you at either the email or postal address you provide to us when placing an order, or in any of the ways specified in condition 14 above. Notice will be deemed received and properly served immediately when posted, 24 hours after an email is sent, or three days after the date of posting of any letter. In proving the service of any notice, it will be sufficient to prove, in the case of a letter, that such letter was properly addressed, stamped and placed in the post and, in the case of an email, that such email was sent to the specified email address of the addressee. 16. Events outside our control 16.1 We will not be liable or responsible for any failure to perform, or delay in performance of, any of our obligations under a Contract that is caused by events outside our reasonable control ("Force Majeure Event"). 16.2 A Force Majeure Event includes any act, event, non-happening, omission or accident beyond our reasonable control and includes in particular (without limitation) the following: 16.2.1 strikes, lock-outs or other industrial action; 16.2.2 civil commotion, riot, invasion, terrorist attack or threat of terrorist attack, war (whether declared or not) or threat or preparation for war; 16.2.3 fire, explosion, storm, flood, earthquake, subsidence, epidemic or other natural disaster; 16.2.4 impossibility of the use of railways, shipping, aircraft, motor transport or other means of public or private transport; 16.2.5 impossibility of the use of public or private telecommunications networks; or 16.2.6 the acts, decrees, legislation, regulations or restrictions of any government. 16.3 Our performance under any Contract between us is deemed to be suspended for the period that the Force Majeure Event continues, and we will have an extension of time for performance for the duration of that period. We will endeavour to bring the Force Majeure Event to a close or to find a solution by which our obligations under any Contract between us may be performed despite the Force Majeure Event. 17. Waiver 17.1 If we fail, at any time during the term of any Contract between us, to insist upon strict performance of any of your obligations under any Contract between us or any of these Terms and Conditions, or if we fail to exercise any of the rights or remedies to which we are entitled under any Contract between us, this shall not constitute a waiver of such rights or remedies and shall not relieve you from compliance with such obligations. 17.2 A waiver by us of any default shall not constitute a waiver of any subsequent default. 17.3 No waiver by us of any of these Terms and Conditions shall be effective unless it is expressly stated to be a waiver and is communicated to you in writing in accordance with condition 14 above. 18. General 18.1 The use of the Website and any Contracts formed between us are governed by English law. Any dispute arising from, or related to, such use and any such Contracts shall be subject to the exclusive jurisdiction of the courts of England. We make no promise that materials on the Website are appropriate or available for use in locations outside the United Kingdom and accessing the Website from territories where its contents are illegal or unlawful is prohibited. If you choose to access the Website from locations outside the United Kingdom, you do so on your own initiative and are responsible for compliance with local laws. Overseas orders (i.e. orders from outside the United Kingdom) will not be accepted. 18.2 A person who is not a party to these Terms and Conditions or any Contract between us shall have no right to enforce any term of the Terms and Conditions and/or any and/or all Contracts between us under the Contracts (Rights of Third Parties) Act 1999. 18.3 If any provision of these Terms and Conditions or any provisions of any Contract between us are found to be invalid, unlawful or unenforceable by a court to any extent, such provision will to that extent be severed from the remaining provisions, which will continue to be valid to the fullest extent permitted by law. 18.4 We may assign charge or transfer any of our rights or subcontract any of our obligations under these Terms and Conditions or any Contract to any third party at any time. 18.5 You may not assign charge or transfer any of your rights or subcontract any of your obligations under these Terms and Conditions and/or any Contract between us except with our specific prior written permission in writing. 18.6 We reserve the right to revise and amend these Terms and Conditions from time to time and any such changes will be communicated on the Website. You will be subject to the policies and the Terms and Conditions in force at the time that you order goods from us, unless any change to those policies or the Terms and Conditions is required to be made by law or governmental authority (in which case it will apply to orders previously placed by you), or if we notify you of the change to those policies or these Terms and Conditions before we send you the Dispatch Confirmation (in which case we have the right to assume that you have accepted the change to the Terms and Conditions, unless you notify us to the contrary within seven working days of receipt by you of the goods). If you do not wish to accept the new Terms and Conditions, you should not continue to use the Website. If you continue to use the Website after the date on which the changes come into effect, your use of the Website indicates your agreement to be bound by the new Terms and Conditions. 18.7 These Terms and Conditions govern the entire trading relationship between ourselves and you and will remain in force for the duration of our trading relationship. 18.8 We will endeavour to verify the accuracy of any product or pricing information which we place on the Website, or email to you. But we make no warranties or guarantees (whether express or implied) in relation to the accuracy of such information. You must bear the risk associated with the use of the Internet. 18.9 We reserve the right to alter or change some products of equal or better quality. There are 3,003 items available. Please enter a number less than or equal to 3,003.